Assignment of California claim for quiet title also requires assignment of the interest in the property- otherwise, the assignee is not the real party in interest. A California quiet title action can be brought to establish legal or equitable right, title, estate, lien, or interest in property or cloud upon title against adverse parties. Sacramento and Yolo real estate attorneys occasionally advise clients who, not being able to pursue an action, are interested in assigning their claims to another party. In a recent decision, a party who was assigned a claim for quiet title was not assigned an interest in the property. Surprising to everyone was how well that mistake worked out for the original owner. In Chao Fu Inc. v. Chen, CFI corporation owned a 25% interest in real estate in Mountain View. CFI’s secretary, Mali, had been doing unrelated business with Chang and had borrowed money from him. Chang got nervous about getting paid, and wanted security for the debt. Mali, with approval of the other principals of CFI, gave Chan a deed of trust against the Mountain View property (owned by CFI) and Chang recorded it. While the principals were overseas, Chang, the lender, successfully foreclosed the deed of trust and became owner of the 25% interest in the property. To further collect on the balance of the money owed by Mali, the Lender sued her. Mali had CFI assign to her “all of its right, title, interest, and standing to bring suit, to, in, and on, any and all claims and causes of action which it has against Chen…” Mali then filed a cross-complaint against the Lender for wrongful foreclosure & slander of title. However, Mali had to dismiss her claims just before trial, because CFI’s corporate status had been suspended, and thus had no power to pursue legal actions- as a result, the assignment of claims to Mali was void. Mali assigned the claims back to CFI. 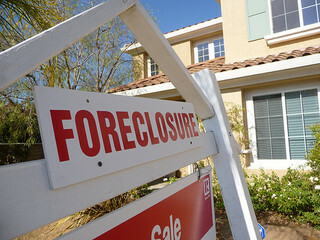 CFI then sued the Lender for quiet title and wrongful foreclosure. The trial court dismissed the claims, stating that they were barred by the compulsory cross-claim statute (CCP 426.30), which requires that a defendant make any related cross-claims in an action, or lose the claim. When Mali dropped the claims in her action, the claims were lost forever. The Court of Appeal said no, they were not. Every lawsuit must be brought by the real party in interest. (CCP 367) In a lawsuit for transfer of real property, only the person claiming title to the property has the actual and substantial interest to be a real party in interest. A cause of action seeking the transfer of an interest in real property cannot be assigned absent assigning the interest in the property. Here, the foreclosure had taken place, so CFI’s rights in the Mountain View property were terminated. This lawsuit was to undo that foreclosure- i.e., transfer title back to CFI. Here, the assignment of claims to Mali did NOT assign her CFI’s interest in the property; thus, she was not the real party in interest for purposes of filing a compulsory cross-claim. The claim has not been lost, and CFI could proceed. The rule is that a claim to quiet title cannot be assigned to someone else without also assigning them the interest in the Property. Here, where a foreclosure had wiped out CFI’s interest, perhaps CFI needed to give Mali a quit-claim deed, which would have given her whatever CFI had, if anything.